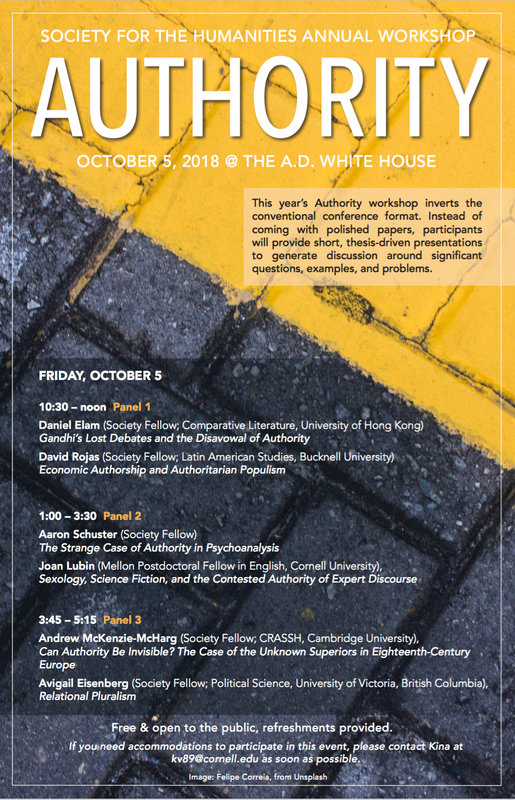 This year’s Authority workshop inverts the conventional conference format. Instead of coming with polished papers, participants will provide short, thesis-driven presentations (10-15 minutes) to generate discussion around significant questions, examples, problems (30 minutes). Consciously designed as a discussion-driven seminar format, the workshop will take place in the A.D. White House.